David Ono takes a closer look at the scenes where the terror attacks took place in Paris, where people continue to mourn those who lost their lives. PARIS (KABC) -- Bullet holes and shattered windows are mixed with flowers, candles and photos at the scenes where the terror attacks took place in Paris, where people continue to mourn those who lost their lives. The terrorists opened fire at restaurants in the eastern portion of Paris, where a lot of younger people gather. A wall near where the shooting took place is gauged with bullet holes, all circled in white by investigators. The shooters took aim at two restaurants - Le Carillon and Le Petite Cambodge right across the street. Tuesday afternoon, people, many in tears, crowded outside the restaurants, leaving flowers, photos and candles at the growing memorial for the victims. Cal State Long Beach design student Nohemi Gonzalez with dining at Le Petite Cambodge with friends when the gunfire erupted. 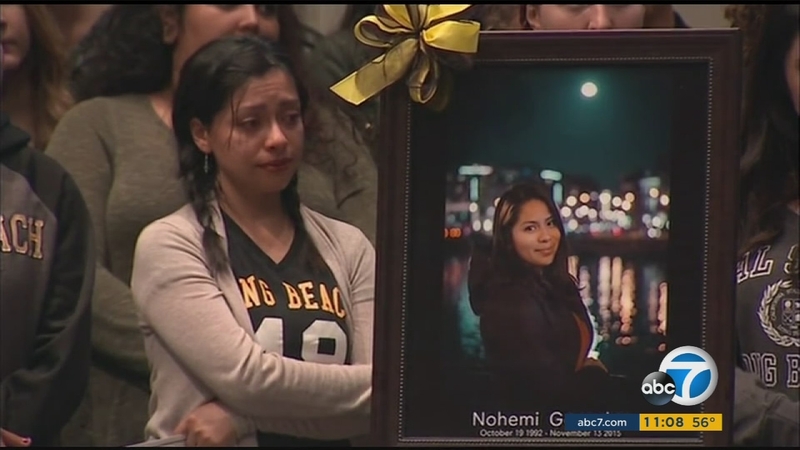 She was one of 12 people killed in the intersection. 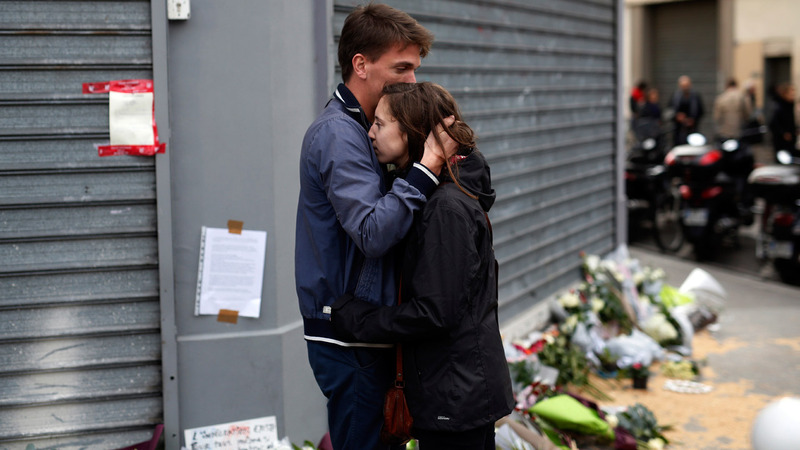 A total of 129 people were killed when three teams of attackers, including seven suicide bombers, attacked the national stadium, the Bataclan music hall and nightspots on Friday. In addition to those who were killed, the attacks also wounded 350 people, 99 of them seriously. 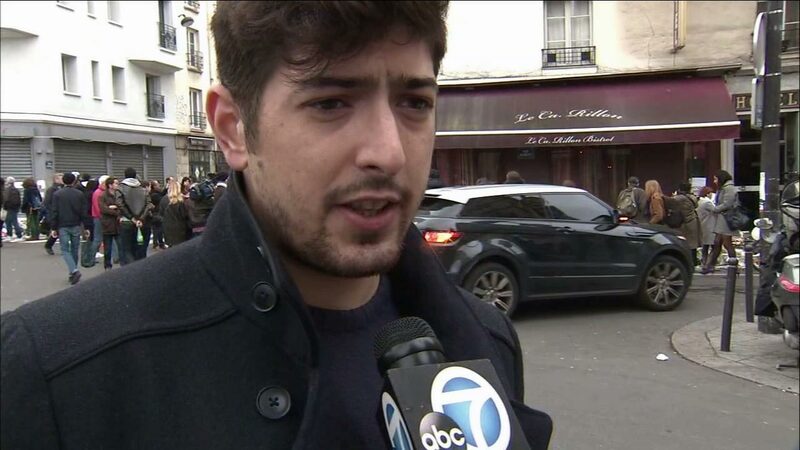 Paris resident Alex Arrabia said the latest attacks are different than the Charlie Hebdo shooting, because the terrorists are shooting random citizens.